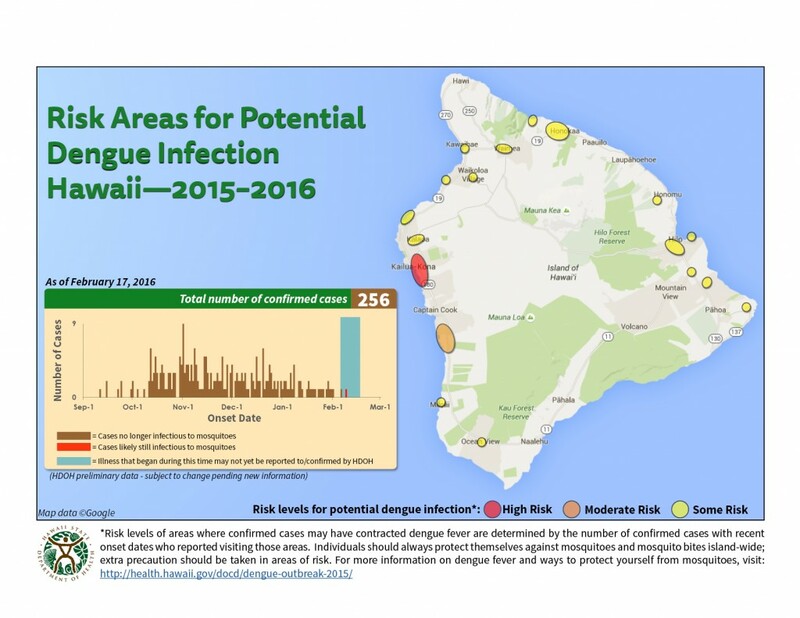 This map should not be used to exclude any areas of the island from proactive mosquito control measures. All residents island wide are encouraged to Fight The Bite by reducing mosquito breeding grounds and protecting themselves from mosquito bites. Since the last update, HDOH has identified 0 new case of dengue fever. Currently, as many as 1 of the confirmed cases to date are potentially infectious to mosquitoes. All others are no longer infectious. As of today, a total of 1225 reported potential cases have been excluded based on test results and/or not meeting case criteria. The Hawaii Department of Health’s medical marijuana registry program is now able to issue patient registration cards in a fraction of the time it took to process a year ago. Anticipating Future Community Need “With the dispensary program targeted to be in operation as early as July 2016, medical marijuana will be more accessible. The online registration process is the first step to help ensure that we are ready for any increase in demand for registration cards,” Ruis said. In the meantime, Ruis is looking at ways to enlist the support of more certifying physicians for the registration program. The Department of Health recommends that patients who feel they may be eligible for the program begin the discussion with the physician that is currently treating them for the debilitating medical condition for which they are seeking certification. Ideally these physicians would seek continuing medical education courses specific to medical marijuana and how to best meet patient needs. “Education is a critical component of the medical marijuana program. We hope to be actively involved at all levels – physicians, health care professionals, patients and caregivers, law enforcement, and the general public,” Ruis said. I’m not sure how long this has existed… but today I noticed that Google has now added the Hawaiian Language to it’s Translation Tool. Once again… I can’t tell you how accurate it is so be careful when using it as you may accidentally translate something incorrectly or even worse… say something that is offensive or offending! The Hawai‘i County Department of Parks and Recreation will close Pāhala Swimming Pool starting Monday, February 22, so the pool’s pump may be repaired. Normal operating hours are scheduled to resume on Saturday, March 5, when Pāhala Swimming Pool will be reopened for public recreational swim at 9 a.m.
Operating schedules, events listing, and holiday closures for each of Hawai‘i County’s nine swimming pools are listed online at: http://www.hawaiicounty.gov/pr-aquatics/. Admission is free.